One of the largest and most impressive electronics manufacturer in Asia, Huawei has proven their place in the smart phone category in the past year. They have released many new smartphones as well as phablets, with the most notable release of the Ascend Mate 7. What Huawei is best known for is designing quality and efficient electronics at an affordable price for those budget shoppers who can’t help but snag the best deal. Recently announced this last week is the newest budget device by Huawei, the Honor Tablet, which has a surprisingly low price considering it’s incorporated 3G into it. The Huawei Honor Tablet was just released this past week in Malaysia and is expected to be released more throughout Asia in the upcoming weeks and months. 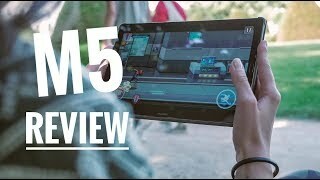 From what we have seen thus far, the tablet sports a full metal body as well as an 8” IPS display with a 1280 x 800 resolution. For a lightweight and easily portable device, the Honor tablet weighs a remarkably feather light 360 grams and is only 7.9 mm wide. In such a budget friendly and compact device, most would be surprised that it is also 3G capable. With the ability to connect wirelessly to 3G via the Huawei Honor Tablet in Nigeria, many people are drooling over this device. Features this advanced within the price range are uncommon and far between but on top of the 3G connectivity, it also has the ability to make and receive calls and text messages! This is a well sought after feature in tablets and is very uncommon, especially in Asia. This is sure to be the main feature to draw in customers and gain Huawei some deserved recognition expanding further than Malaysia. Yes, the features in the Honor Tablet are quite impressive but the internal specs are equally impressive. It is powered by a quad core Snapdragon 200 CPU with 1.2 GHz and 1 GB of RAM. With a system like this, multi-tasking has never been easier and you will never experience lagging, freezing, or slow surfing speeds. Also helping to eliminate unwanted slow speeds is 16 GB of internal memory as well as an expandable memory slot for a microSD card. This allows for more space to store apps, videos, photos, and music so you never run out of memory. as well as a VGA selfie camera which appropriately fits this budget tablet. All other features are easily above the expected quality in a tablet of this price so of course, corners needed to be cut somewhere. Huawei, being the experienced company that they are, cut corners in all the right places with the camera. Even with heavy use, the 4800 mAh battery will last up to two days, keeping you entertained for hours on end. Although there is not a Huawei Honor Tablet Nigeria release date yet, pre-orders will be available to ship on October 16th in Malaysia and hopefully to other Asian countries soon after. The tablet can be used as a tablet to make calls or as a super smartphone, whichever way you prefer. The versatile tablet fits most anyone’s budget and runs quick and smooth with the quad core processor and updated Android OS. 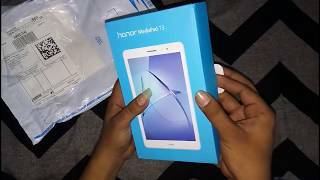 The honor tablet Tablets & EReader is manufactured by Huawei and was added around November 2016 and is part of the Huawei Honor Tablet series. 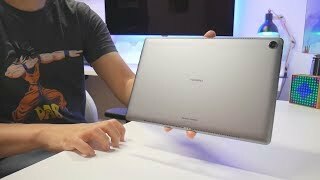 Huawei MediaPad M5 - The Best 2018 Tablet Out Now! 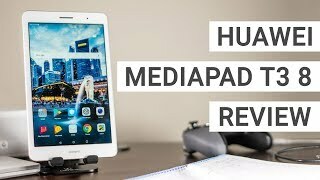 Huawei MediaPad T3 8 Review - A Great Tablet With Optional LTE 4G?